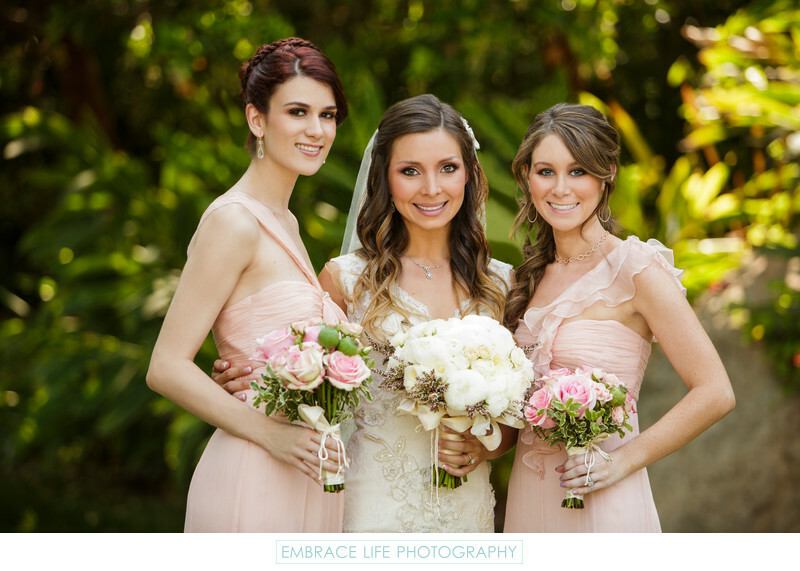 Bridesmaids dressed in pale pink gowns clutch their quaint bouquets filled with Titanic and Geraldine pink roses, poppy pods, and Pittosporum. Location: 2 Dole Dr., Westlake Village, CA 91362. Keywords: Group Portrait (102), Portrait (888), Wedding (1437).